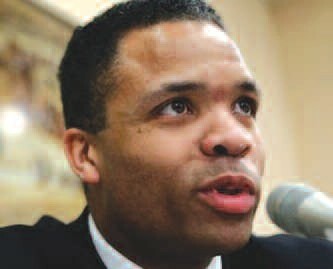 Jesse Jackson Jr. collapsed on June 10, and is now being treated for gastrointestinal and mental health issues. Chicago Alderwoman Sandi Jackson, said in a statement this weekend that her husband, Jesse Jackson Jr. who collapsed on June 10, is getting treated for gastrointestinal and mental health issues, and that while he’s still “very depressed” he’s showing some progress. Sandi Jackson commented during an interview with a Chicago newspaper after a visit with her husband at the Mayo Clinic in Rochester, Minnesota. The couple’s two children accompanied her. “What I can tell you is my husband has his good days and bad days, and they are increasing his depression medication to therapeutic levels,” Mrs. Jackson said. She also adamantly denied allegations that the congressman had attempted suicide or was receiving help for alcohol or drug addiction. Mrs. Jackson said that medical experts are still trying to determine whether a weight-loss surgery might have helped trigger her husband’s depression. Wide- spread concern over Jesse Jackson Jr.’s wellbeing grew after the Illinois cong ressman, who is the son of noted activist Jesse Jackson Sr., took an abrupt leave of absence from his office on Capitol Hill in May. While an initial report from his staff in July said he was suffering from exhaustion, Jackson’s office later issued a statement saying he was undergoing an “extensive inpatient evaluation for depression and gastrointestinal issues” at the upscale medical facility. Recently the Mayo Clinic, The Rochester, Minn.-based clinic, specified his condition as Bipolar II, which is defined as periodic episodes of depression and hypomania, a less serious form of mania. Meanwhile, Jackson, 47, who has represented Illinois’ 2nd Congressional District since 1995, remains the focus of a House Ethics Committee probe on whether he used public resources — in the form of his Chicago and Washington, D.C., staffs — to vie for the appointment to the Senate seat that was vacated with Barack Obama’s 2008 presidential election.